Now that WordPress is up and running again, I can back to posting! Sorry for the mini-hiatus, WP.com was having technical difficulties earlier this week. 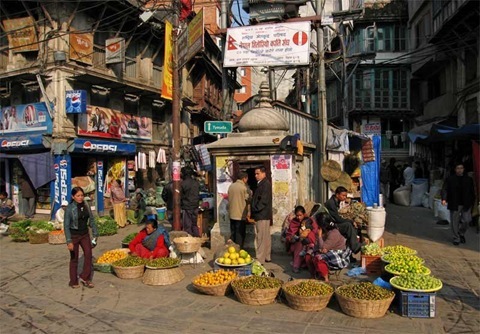 Anyway, the above is a marketplace located in Kathmandu, Nepal. Nepal one of the poorest nations on the planet, but is rich in cultural history and tradition, and quite arguably one of the prettiest locations in the world. « GoLite Travel Gear Giveaway Winner!